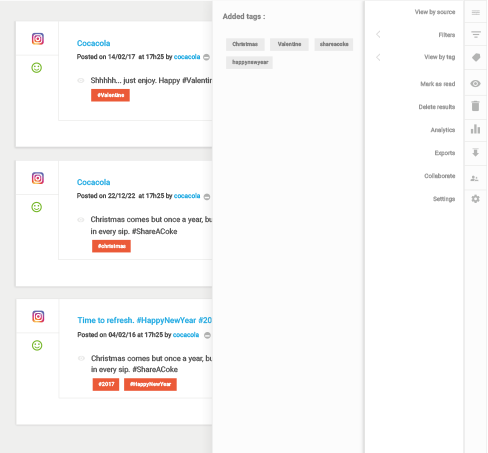 Create alerts on the keywords or hashtags of your choice and be notified when a photo or video mentioning you is published on Instagram with a direct link to the publication. Measure, per period, the volume of instagram publications mentioning your brand, keywords or hashtags. Analyze the sentiment around those keywords, follow how it’s evolving and get a comprehensive picture of the main trends. Want to track various hashtags and know which one is the most popular with most publications? 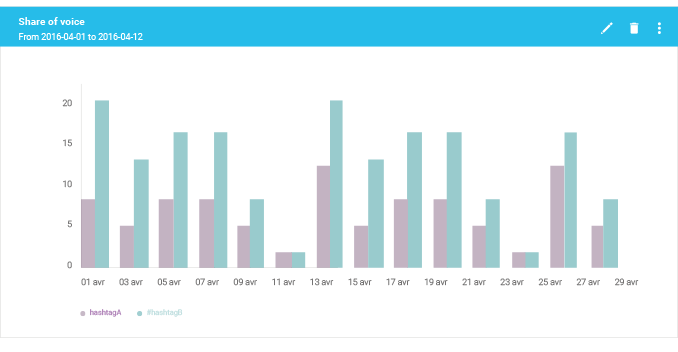 You’ll be able to easily create graphs which compare your hashtags over time. Want to know whether there are more photos or videos mentioning your brand? Alerti will give you the details. Present the information as best suits you with our custom graphs. Classify the information per tag. Categorize the photos and videos retrieved in your alerts and get a clear picture of the most popular topics related to your brand. Get summary analytics and key insights per period.